In Jimmy Iovine and Dr. Dre, director Allen Hughes finds the perfect men to tie together two defining eras of music into one lively docu-series. “The Defiant Ones” makes its pitch quickly and convincingly in its hour-long premiere: Watch and learn how two music titans individually paved the way for the industry’s future before coming together to walk it themselves. Told by the two icons as well as an onslaught of legendary musicians, director Allen Hughes honors and elevates the accomplishments of Dr. Dre and Jimmy Iovine (two men quick to credit their colleagues) by cutting together their stories with a rhythm they’d be proud of and viewers won’t be able to resist. The famous faces are endless: Eminem, Bono, Nas, Diddy, and even musicians with more than one name like Bruce Springsteen, Tom Petty, Gwen Stefani, Patti Smith, Stevie Nicks, Kendrick Lamar, and Snoop Dogg all sit down to talk about Dre and Iovine. Combine them with a fast pace and entertaining design work — no, really, the sound engineer and visual restoration team are equal stars here — and the four-part docu-series is easy to get into. But for every hook meant for the mainstream, lingering in the background are the stimulating questions that give “The Defiant Ones” its juice. 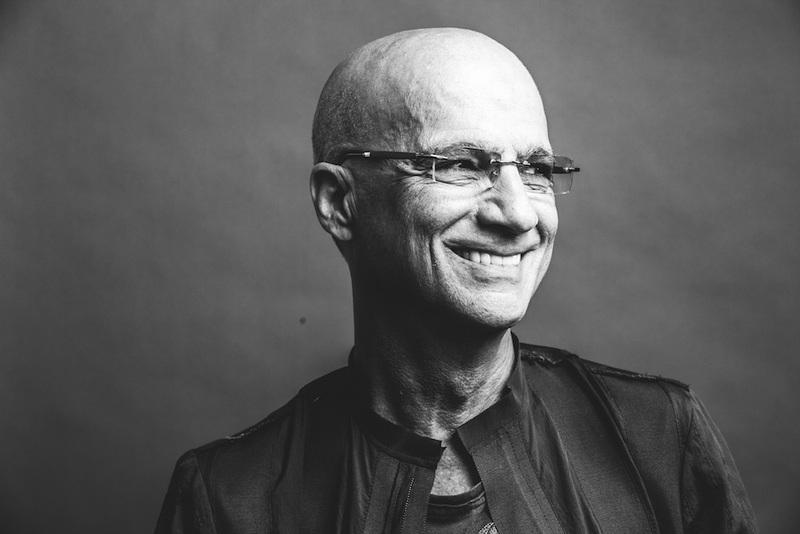 There are clear, unshakable differences between the main subjects of “The Defiant Ones.” Hughes, however, doesn’t emphasize what separates Dre and Iovine. He subtly illustrates their similarities and uses them to transition between tales of their early life; of who they became independently before they built something together. Sure, the big tie-in is music, but if that’s all there was to Dre and Iovine’s connection then Adele should be able to team up with Ricky Martin and print money. It is about the music, but it’s not only two different genres of music from two different worlds, it’s two seemingly disconnected stories tied together by specific themes. Hughes finds specific comparisons between each man, like a known disinterest in drugs and alcohol, an obsessive passion for producing, and near-infinite patience in the studio. Larger, seemingly contradictory concepts like ego and selflessness, money and art, come into play as well, forging similarities in vision that are harder to summarize. It’s as if the series is introducing two friends to each other before they’ve become friends; explaining why they’d get along even though it seems like they’d have little in common. And when they do collide, it pays off — literally. The duo’s overall story is framed around the sale of Beats Electronics, a company that created headphones before transitioning to audio systems and streaming music. Iovine and Dre pieced together a whopping sale to Apple in May 2014, but it’s how they get there and what it means to them, as well as the music industry at large, that makes “The Defiant Ones” a riveting experience. Dre and Iovine are two strong personalities. Dre is quiet, still, and reflective. There are scenes that will shake you; worry you; particularly one in which he talks about death being ever-present in his mind. Iovine is a bit more loquacious and active. When he’s not telling stories about spending weeks in a recording studio with Springsteen or sprinting through downtown Manhattan to confront a business partner in his hotel room, he’s on his phone. He’s busy. They both are, but you can see how constant it is for Iovine and how casual it can be for Dre, who uses work as an escape from his aforementioned bad thoughts. This, in a nutshell, is their defiance. Through five meticulously captured hours chronicling their lives’ work, Dre and Iovine are shown bucking expectations and sticking to their guns in the face of unparalleled adversity. Their accomplishments are great, but their defeats aren’t ignored. Dre is asked about his violent past with women, and his most prominent victim, Dee Barnes, is given ample time to tell her side of the story. Iovine’s faults are less damning, but his ambition isn’t simply bathed in admiration. Even the other subjects brought in to tell these stories get personal, as the docu-series examines a dark past still present in a lot of minds. “The Defiant Ones” hails the work of these producers (while showcasing simply incredible production values itself) without forgetting that they’re men, as well. Men have flaws, and for these two icons, the ultimate act of defiance might be showing them. “The Defiant Ones” premieres Sunday, July 9 at 9 p.m. on HBO. All four parts will be made available to stream at that time via HBO NOW, HBO Go, and HBO On Demand. It will also air nightly between July 9 – 12.